June Events of Chartres Calendar 2011, end the spring and kick off the summer with numbers of festivals and events. As the weather get warmer and the long summer vacation are almost arrive... everyone here start to think about what the best things to do in Chartres during vacation. 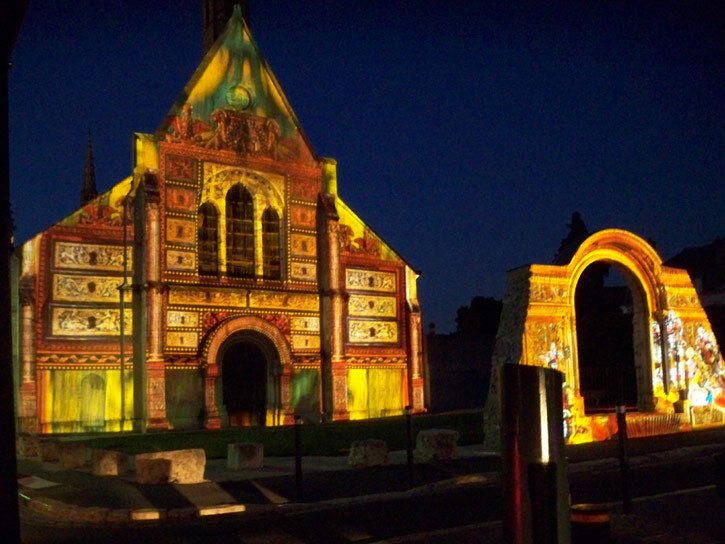 Festivals, celebration and more fun for kids and family, outdoor or indoor activities, day or night events... things are become more merrier in Chartres. Find out all in June Events 2011! And before I move on... it might be important to confirm the date and location of events as these following schedule may not reflect changes or cancellation. This June Events 2011 is in progress and still growing... please come back periodically to check out new events have been added. The colorful and "dancing" light illuminate 27 historic sites every fallen night to 01.00 am. Each illuminated sites tells story and almost each year have new sites with new illumination. Too good to miss in June events 2011. 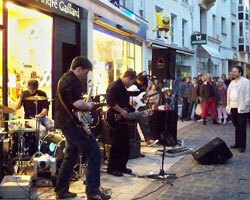 This year of 2011 is the 30th edition of Music Festivals in Chartres. Free concerts from 40 music groups in all over places in the city center. Here are the list of music groups who will take part of the festivals. Choose your styles and find out where and what time they will perform! The Chartres Water Festival - celebration of the Eure river, the most important river for the residents of Eure et Loir. The celebration take place surround the bridges over the Eure river, parks, parking lots and on street along the river. Numbers of animation for kids and family such as carousel, bouncy castle, table football, canoe-kayak, music, dance and many more. Find out the detail programs of Chartres Water Festival 2001 here. This night, Cathedral de Chartres (Nôtre Dame de Chartres) open the door and welcome visitors to take part of some activities. Starting by free visit in French and English guides and activity for kids - Discover the cathedral, followed by more activities such as meditative choreography on the labyrinth. The cathedral close the door at midnight by going down to the crypt with candles. Kids always curious to know more about the dragon, the mysterious animal presented as a reptile. Learn the different dragons in several continents. When: January 1 to December 31 Presents stained glasses creations of Kim en Joong, an international artist from Korea. This time exhibitions theme is Entre Ciel et Terre (Between Heaven and Earth). When: January 1 to December 31 Discover the stained glass art collections and history during Renaissance (15th - 16th century) in Chartres.